DENVER (CNS) — In March, Ryan Clydesdale was looking forward to heading to Hawaii with friends for spring break, “but deep down I kept feeling pulled” to do something else. That something else was to be part of a Peru mission trip sponsored by the Fellowship of Catholic University Students. “I really felt like God was pushing me to go,” said Clydesdale, a student at the University of California Los Angeles. This March, nearly 240 people traveled on 11 spring break trips to serve the people of Peru’s Pamplona Alta, one of the poorest neighborhoods in Lima, working alongside members of the Christian Life Movement. For the coming academic year, FOCUS plans 16 trips to Peru. FOCUS officials say that such short-term mission trips are one way the organization aims to answer Pope Francis’ call for Catholics to “have the courage to go against the tide of … the culture of exclusion, of rejection.” That call came in his address to clergy during World Youth Day in Rio de Janiero in 2013. Such a culture “is spreading,” he said. Today, “there is no place for the elderly or for the unwanted child; there is no time for that poor person in the street,” he said. In response, people of faith must “be servants of communion and of the culture of encounter!” the pontiff said. Many students return from the FOCUS trips transformed in their faith and inspired to serve others. Clydesdale is no exception. He and others in his group helped local volunteers build stairs in Pamplona. They “spent days mixing concrete, hauling it up the hill and pouring the stairs,” he explained. The experience changed him as a Catholic, he said. “Every day we made a difficult hike up the mountain to Pamplona. 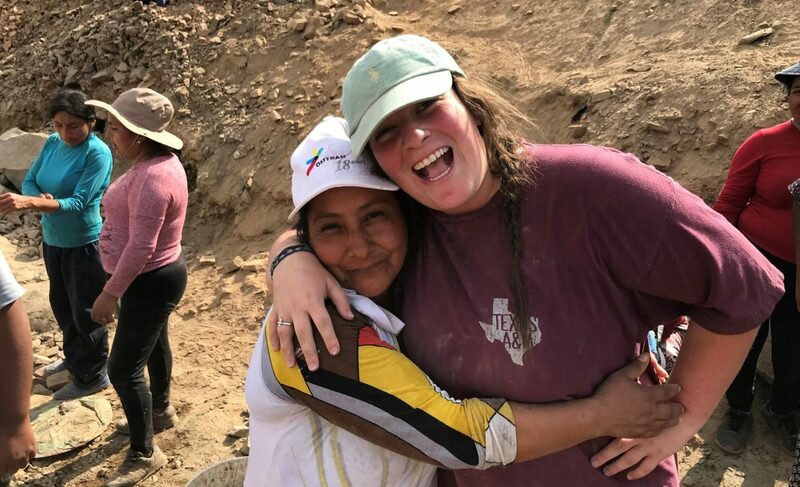 We worked with the people to build a wall to protect their houses from mud slides and rocks, and it was amazing to see the ways our hard work went directly to this community to leave a real impact,” she said. She described the “significant impact” a woman named Blanca living in Pamplona had on her. Josh Paiement is the FOCUS missionary at UCLA campus who invited Clydesdale to do the mission trip to Peru. He also was in Peru with Clydesdale and other students. The experience reinforced what he has long believed about the work of the Holy Spirit in our lives. “On mission,” he added, “the distractions of social media and school work are replaced with service and time for prayer and reflection. This academic year, FOCUS Missions is sending over 2,000 participants on more than 130 trips around the world. Most participants are students, and each trip includes a chaplain and four FOCUS missionaries from the 137 campuses on which FOCUS serves. Please pray for all the trips participants this summer who will serve in Peru, as well as the 37 other countries throughout the world. A full list of FOCUS missions is available at focusmissions.org.